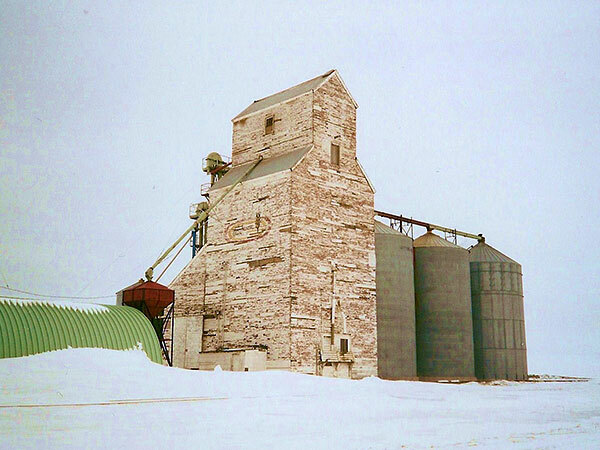 A 32,000-bushel wood grain elevator operated at the Deerwood siding of the CNR Miami Subdivision in the Rural Municipality of Thompson. 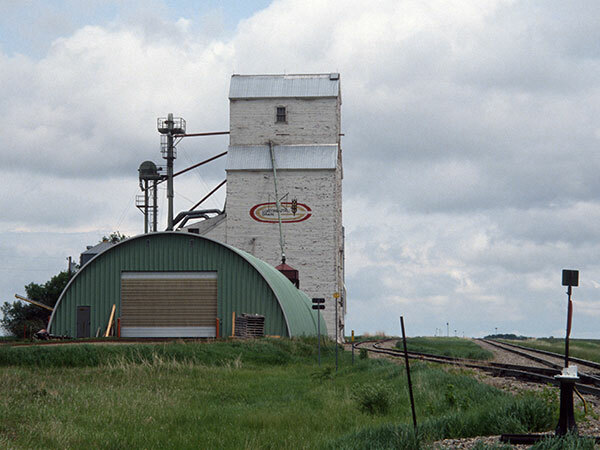 Built in 1921 by the Canadian Elevator Company, it was sold successively to the Canadian Consolidated Grain Company (1928) and United Grain Growers (1959). 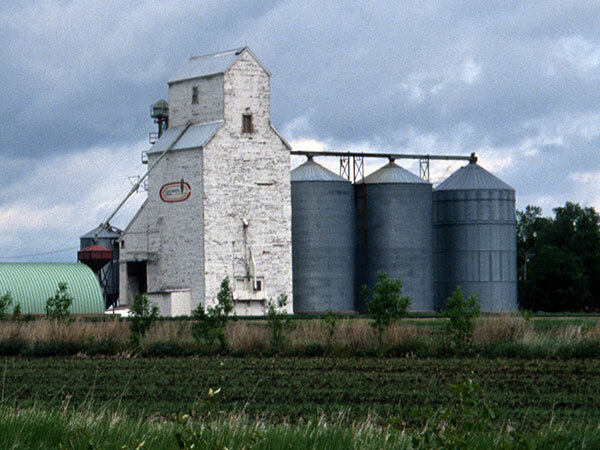 Closed by UGG on 31 July 1970, the facility was sold to a specialty seed producer in May 1974. 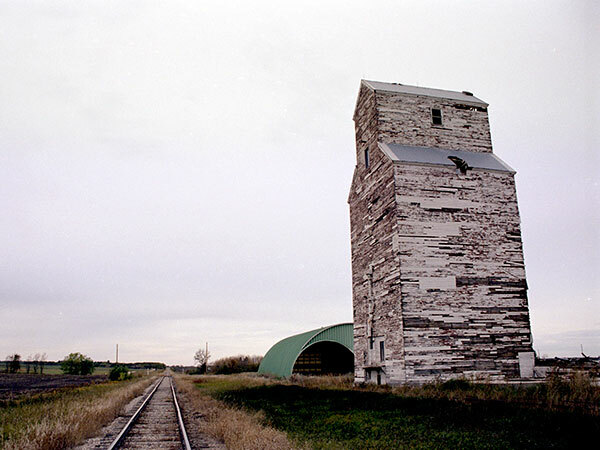 Operated by Continental Grain from 1987 to 1999, it was demolished in October 2003. Source: Everitt Collection, S. J. McKee Archives, Brandon University, JCE-0664. Source: Everitt Collection, S. J. McKee Archives, Brandon University, JCE-0665. Digital orthophotographs, Manitoba Land Initiative, Government of Manitoba. 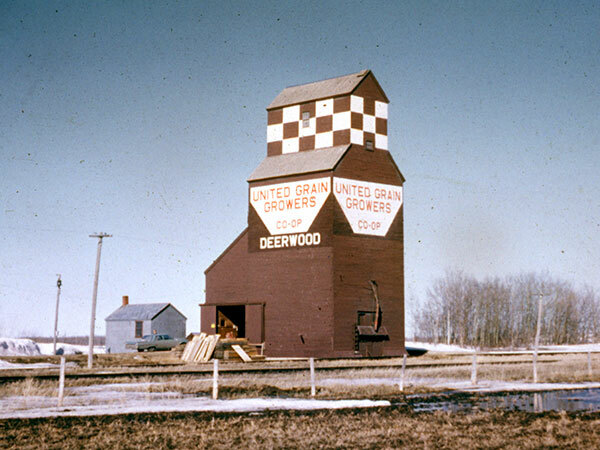 “History of United Grain Growers Local #155, Altamont, Manitoba” by Don Fraser, United Grain Growers Ltd., MSS76, Box 59, University of Manitoba Archives & Special Collections. This page was prepared by Gordon Goldsborough, Bernie Freeman, Glenn Dickson, John Everitt, and Mike Lisowski.